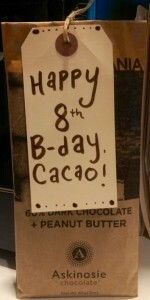 Keep up with everything going on at Cacao! Events, tastings, new products and more. Cacao Premium Drinking Chocolate is in The Wall Street Journal! 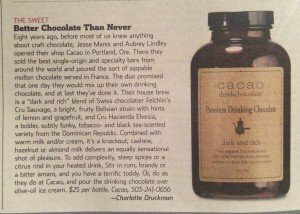 We are so thrilled to have been featured in Charlotte Druckman’s Bits & Bites column in The Wall Street Journal! 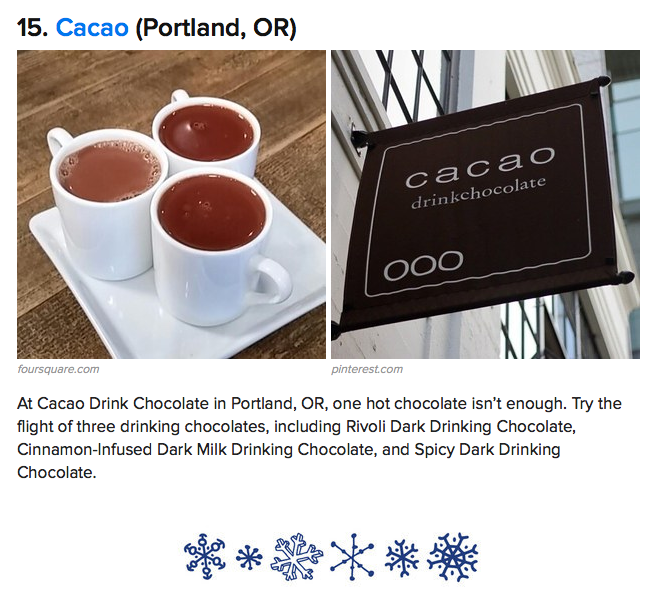 Hey look Cacao is on the Buzzfeed list of 27 best hot chocolates in the world! We are hiring. Join our team and take advantage of an opportunity to work with some of the best chocolate in the world!